In this post I invite an inspirational guest reader to share a little about their life and a recent favourite book. I first met Rachael Mead in 2011 during a writing residency at Varuna the Writers House, a sanctuary set on the edge of Australia’s Blue Mountains. I spent my time there with an inspiring group of women writers, sharing dinners, ideas, snatches of our own writing. During a casual conversation Rachael told me of her husband, a paramedic who, on Rachael’s birthdays, would paint her a replica of a favourite famous painting. The image of that gift as an expression of love grabbed me. Rachael gave me permission to explore the idea in short fiction which slowly, glacially, led to ‘The Forgeries’, most definitely NOT a story about Rachael or her husband, but about the fragile nature of creativity. This small window into Rachael’s life introduces a talented poet and short story writer, arts reviewer and bookseller, who lives in the beautiful Adelaide Hills in South Australia. Rachael’s had an eclectic life, working as an archaeologist, environmental campaigner and seller of books both old and new. She has an Honours degree in Classical Archaeology, a Masters in Environmental Studies and a PhD in Creative Writing from the University of Adelaide. Rachael is the author of four collections of poetry, and I recommend all of them: The Flaw in the Pattern (UWA Publishing 2018), The Sixth Creek (Picaro Press 2013) and the chapbooks Sliding Down the Belly of the World (Wakefield Press 2012) and The Quiet Blue World (Garron Publishing 2015). I invited Rachael to share something she treasures about her life. Rachael: Being able to travel. My husband and I met on an archaeological excavation and since then we have leapt at every chance to experience the wild and lonely places of the world, whether it’s throwing the swags in the back of the car or heading off on overseas adventures. I’ve been extremely privileged to have visited Antarctica twice, camping on the Ross Ice shelf in East Antarctica and crossing the Drake Passage by ship to the western side of the Antarctic Peninsula. The only continent I’ve yet to visit is North America but, with an Iranian stamp in my passport and a history of environmental activism, ticking this continent off the list may prove a little challenging under the current administration. In the meantime I’d love to do a little more long distance hiking, so early in the New Year we hope to lug our backpacks around the western end of Kangaroo Island, which lies off the coast of South Australia. On Instagram I’ve been following Rachael’s recent wind-whipped adventures around Iceland and Scotland. Was there a favourite book along the way? Rachael: I love researching the ecological and cultural histories of the places we visit, so while driving through the Scottish Highlands I read a title that had been on my ‘must read’ list for a while. The Living Mountain by Nan Shepherd is a gorgeous piece of nature writing and deservedly a classic. The book is a loving, lyrical and ecologically precise account of the Cairngorm Mountains by a woman who spent much of her life exploring this harsh and beautiful landscape by foot. Shepherd wrote this book in the mid-1940s but it remained in her desk drawer until 1977, finally finding a publisher at the same time that other classics of the genre by male writers such as Matthiessen, Chatwin and McPhee were being published to great acclaim. As a lover of nature writing, reading this book was an absolute delight, not only as a poetic and intimate account of a wild landscape but as a landmark piece of nature writing by an extraordinary woman. Every time I used a Scottish five-pound note (which bears her portrait) it felt like I was paying tribute to a newly discovered literary heroine. Another ‘must read’ piece of nature writing is this poem by Rachael Mead from The Flaw in the Pattern, the first in a sequence of seven poems chronicling each day of a trek though the Tasmanian wilderness. our whole week hanging from our collarbones. unfurling like an old rug, ragged and enormous. We are superimposed here, stepping into an epic. Trees glow in wet light, the sky flat as an ironed sheet. the golden mean redundant and symmetry just a neat idea. of what we think we need, our sweat and aching joints. these clouds that cap the world, my hair netting sky. Recently I’ve been working with a group of young writers, offering feedback on their works-in-progress. It’s got me thinking about critiquing and about receiving criticism. In my writing life I’ve experienced two broad categories of criticism, and lots of variations between: the first kind delivers renewed faith in my ability and energises me to tackle my writing problems; the second leaves me paralysed with despair, questioning whether I ought not just give it all away. Can you relate to either of these experiences? In this post I’m looking at tips to consider when giving and receiving criticism. A caveat: I am not a professional editor. I am a novelist and a teacher of creative writing with time spent on each end of the reviewing seesaw. If you’re up for it, join me on this crucial part of the writing journey. I would love your input. Why have your work reviewed? I have yet to find anything in the revision process that equals the value of frank, supportive feedback from a trusted reader. Novelist Robert Stone likens the revision process to trying to cut your own hair. You may sense that your story needs improving, but without a clear picture it’s hard to get it right. Stone says that an external reader may not be able to tell you how to style the material, but they can hold up a mirror to help you see beyond your normal range of vision. Writer’s tip: during the manuscript process, carefully consider who you hope to review your work. Your family and friends may love every word you write, but unless they can pinpoint and articulate your story’s strengths and weaknesses, they are probably not the best means of advancing your story. An independent reviewer, a writing colleague, an astute reader, a teacher or mentor, one whose opinion you respect (perhaps even tremble at a little), may be better equipped to offer practical, productive guidance. This doesn’t mean you are compelled to agree with or act upon every point of call. You are the referee of your own story, free to consider each problem and solution. The term first flush refers to the first plucking of a tea plant during harvest season, said to yield the purest tea the plant is capable of producing. A reviewer’s ‘first flush’ reading of your work, free of the echo of earlier drafts, is likely to offer the premium yield. That crucial ‘first read’ invites keen observations and astute queries. Unless you have an unlimited bank of trusted readers vying to see your work-in-progress, be strategic about who you will ask to read your work, and at which stage of the drafting process. If you have the luxury of more than one reviewer, look to each of them as yielding a ‘first flush’ reading. Invest wisely. Writer’s tip: requesting someone to review your writing, especially a novel-length work, is a big ask, best approached with consideration. Such a review amounts to an extraordinary act of generosity and a monumental undertaking on the reviewer’s part. If the reviewer declines your request, be gracious. If they agree, be sure to acknowledge them for their time and input. Needless to say it would be poor form to expect someone to review your work if you were unwilling to contribute in kind. The degree of effort and attention a writer puts into their draft is sure to have a boomerang effect. When I read a work that demonstrates care and polish, I know I have been entrusted with something deeply important to the writer. But when a work is riddled with typos and poor grammar, where parenthetical notes indicate incomplete business, the review process feels disruptive, at worst dispiriting. You need your reviewer to be on your side, to see your commitment and to want you to succeed. Author Joyce Carol Oates likens the readers’ role to that of ideal editors: a friend of the text and a friend of the writer. Compare the interaction to any important endeavour: it wouldn’t be in your best interest to rock up to an interview without considering your appearance or preparing as best you can. Recently a writer emailed me their work for review. In the week that followed I received multiple updates with instructions to ignore the previous versions. A reviewer is donating their time and expertise. Enough said. Do you remember your earliest days of creativity, when the act of forming letters on a lined page, or making up stories, or drawing or painting or colouring-in was unadulterated fun? Do you remember your earliest artistic creations and the joy you felt at a teacher or parent’s words of praise? Well, nothing went wrong, other than adulthood. The downside of developing and honing a skill is a rise in self-awareness and with it the inevitable onset of an inner critic. I respond positively to encouragement. We all do. I suspect so much of the child resides in us all. As I write, and when I review my writing, my inner critic is all too ready to give me a serve of self-doubt. I have to listen to that harsh little voice, I can’t ignore it, but left unchecked, our inner critic holds the power to unravel the positives: creativity, confidence, drive, motivation. An external voice, one that is measured and perceptive, will look to both the strengths and shortfalls in your work. It will offer praise, encouragement, guidance. That said, is there a place for false praise? And how does the need for encouragement position words of actual criticism? False praise is about as counterproductive as brutality. As a reviewer you are ultimately doing the writer a disservice not to be up front about areas of the writing that need work. At the same time, a sole focus on the negative does not offer a measured review. I haven’t yet read a piece of writing in which there wasn’t something to admire. Acknowledge those high points. I am mindful when asked to review a work of how far along the writer is in their journey. For some, this will be their first experience beyond school at receiving a review unquantified by a grade. As reviewers, the language we use is paramount. Match the tone and advice to the individual. Be clear. Be kind. Put yourself in the writer’s head and imagine receiving your review. How will a review best serve writer and reviewer? Picture this: the writer has completed her third, sixth, thirteenth, nineteenth draft. Whichever number it is, she tells you she feels close to completion and asks for your feedback. Before undertaking a late-stage reading, it behoves reviewer and writer to clarify their intentions. Is the writer being clear (and honest) about what they want from a review? If it came to the crunch, would the writer be willing to discard and rewrite, or have they travelled way beyond that point? You may be asked to review a manuscript limited to word and line-level comments. Does the writer fully appreciate the time and expertise involved in any form of review? I was asked once to review a multi-page grant application. ‘It just needs a light edit,’ I was told. More of a light kidney transplant. Perhaps you’re being called upon because your particular expertise in life fits the subject matter of the work, independent of writing craft. Are you willing to tailor your reading to the request? If not, think carefully about taking it on. Writer’s tip: isn’t there a part of us all just craving to be told that the work we have produced is genius? Before surrendering your manuscript for review, interrogate your motives. Consider who you are asking to review your work and what you are asking of them. If you are unwilling to receive criticism or act upon it, set your manuscript aside or submit it for publication. Was there a mentor who helped you overcome adversity or gave you faith in yourself? Was there an experience that altered your approach to writing or reading? Do you have advice to share? Drop me a line in the Comments box below or email me via this link. I would really, really love to hear your experiences. In this segment I invite an inspirational reader to share a little of their life and a favourite recent read. I first met talented writer Nicole Sinclair during my time in south-west Western Australia. Nicole, a secondary English teacher, was already highly regarded for her award-winning short fiction and non-fiction and had decided to tackle writing her first novel as part of a creative writing PhD. 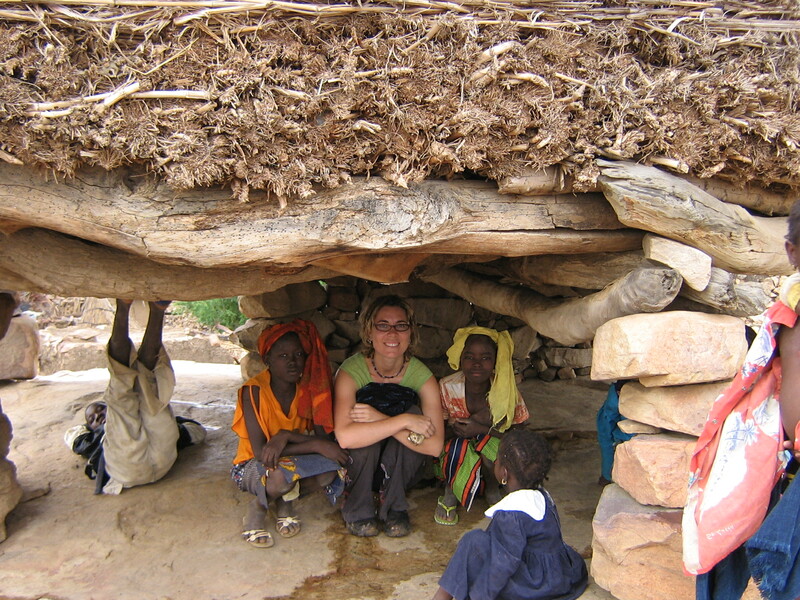 Any postgraduate study is a mighty undertaking, and for Nic it proved to be a remarkable, if not wild and crazy personal journey as she navigated a way through research and writing, in combination with falling in love, marrying, moving between towns, and bringing two energetic daughters into the world. Whew. I am delighted that dedication and perseverance has rewarded Nic’ with happy outcomes—a shiny new family, an academic degree, and the recent publication of her PhD novel Bloodlines. Here, Nicole shares two treasured experiences that have shaped her life, along with a favourite recent read. From a young age my sisters and I were encouraged to travel. See the world, our folks said, there’s plenty of time to settle down when you’re older. I was always interested in other cultures. History was one of my favourite subjects at school – I loved learning about faraway places, so vastly different to where I Iived. I have travelled to many different countries, and know I am fortunate to have done so. At a particular time in my life I was drawn to countries less frequented by tourists – Mali, Ghana, the Philippines, Papua New Guinea. This deepened my ideas of humanity, and the whole spectrum of human experience. I found the adventure of solo travel thrilling, but I look back now with an acute awareness of my vulnerability at moving through such countries alone. I know that this experience fostered in me a sense of my own power, an assertiveness, and the necessity of trusting my intuition. All these things are important – especially for a woman. Having said that, I have always had a strong feeling of ‘home’ too – often linked to my childhood farm in Western Australia’s wheatbelt. 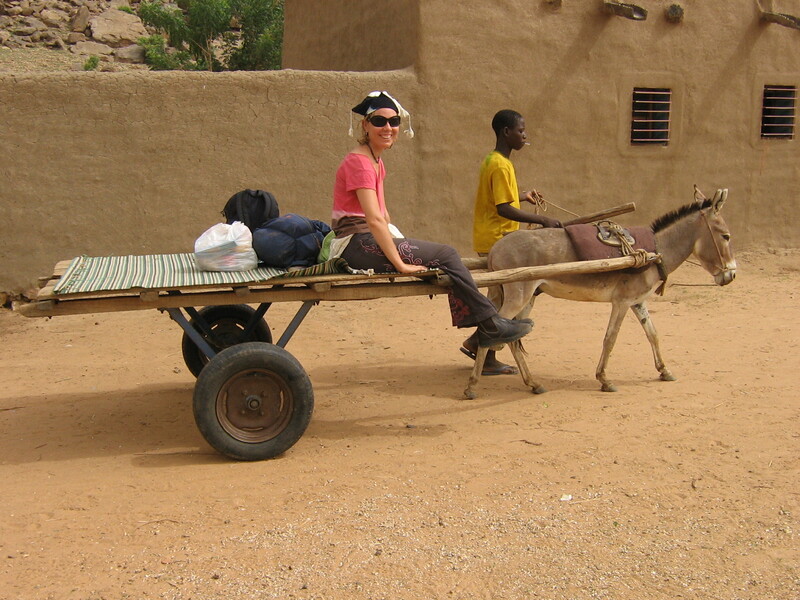 I remember feeling exhausted and sick with Giardia on the road to Timbuktu. We were caught in a howling sand storm at a river crossing and the sight of a lone gum tree brought me to my knees with longing. So many of my travels were woven into Bloodlines in some way, and I appreciate the depth and sense of expansion having access to travel brings to my life. Traveling these days requires a different backpack and is limited to the south of Western Australia. I have two very young daughters (aged four and two). I wrote my novel, Bloodlines, while they were babies, and although I often felt torn between my writing life and my role as a mother (that I was doing neither job particularly well), my children were lifelines in the busy period of writing and editing. I knew early on that I was never going to be a perfect mum, that this is just a fallacy and so the idea of being a ‘good enough’ mother resonated. I found this helpful for my creative life too. I have a tendency for perfectionism and I realised at a certain point my novel had to be ‘good enough’ – otherwise I might never finish it, never be ready to send it out. Small people also make us laugh and have fun. They give us permission to act like a goose. I’m inclined to live in my head a bit, so this is a real blessing. The Sound is a historical novel written by Sarah Drummond. Set in the 1820s, it centres on the sealers who sailed along Australia’s south coast. These men are a violent, rough mob – most evident in their treatment of the indigenous women and children they kidnap from islands and coastal communities. Based on much research (this novel was undertaken as part of a PhD), Drummond chillingly depicts this merciless world; she does not shy away from the brutality the sealers dish out to the women, animals or each other, yet her portrayal is never gratuitous. It is testament to the skill of a great writer when they deal with such confronting material so deftly. It is not all hard-going for the reader – through the protagonist Wiremu Heke (Billhook), we witness decency and tenderness. He is our moral compass. And the evocative images of the coastline around Albany (Drummond’s childhood home) are expertly drawn. Drummond is a fisherwoman and her knowledge of the sea gives real authenticity to the tale; she knows her stuff. I enjoy reading stories based on the colonial era in Australia – so much of it ‘left out’ when I was a student. Fiction – particularly historical fiction – can reveal disturbing but significant truths for all of us; stories that need to be told, that need to be heard. The Sound is one of these. I found it compelling from start to finish. A big round of thanks to my guest reader Nicole Sinclair. The Sound has just arrived at my local bookstore and I can’t wait to read it. And I highly recommend Nicole Sinclair’s stella new novel Bloodlines. For more on Nicole and the story behind Bloodlines, check out this fab posting on Amanda Curtin’s Looking Up Looking Down. RM: One of the nicest side benefits of shipboard life is working closely with a small expedition team from around the globe who feel as inspired by the remote places we visit as do our adventurous passengers. Our final voyage for the northern season came to a close a few days ago, our stout little Polar Pioneer having ventured to wild Scotland back in June, then most recently to Svalbard and North-East Greenland in the High Arctic. Our days across the Greenland Sea gave me time to entice onboard archaeologist and historian CAROL KNOTT into sharing a story or two, albeit reluctantly, of her own remarkable life. CK: I have always been fascinated by the idea of exploring time. Our lives are part of a continuum of past, present and future, bound together, for me, by a great sense of common humanity. It is a complete accident that we have been born here and now, as we could just as easily have been Neolithic farmers or part of an Inuit hunter’s family. RM: Scotland’s beautiful Isle of Lewis is Carol’s home turf, though she has worked far and wide as a field archaeologist, exploring life as it was lived in previous ages, and sharing her discoveries with 21st century travellers. ‘I remember once holding in my hand a piece of pottery impressed with the potter’s thumbprint, and feeling a sudden shock of direct connection crossing almost 1,000 years.’ Carol is treasured for her ability to infuse the past with life, prompting us—even challenging our assumptions about past and present cultures—to think about new ways of understanding the things we encounter. CK: Sometimes a voyage takes me to Santiago de Compostella in Galicia, Spain, where we witness the arrival of dusty modern-day pilgrims, at the completion of their long Camino to this ancient shrine. It was a remarkable cultural phenomenon in the Middle Ages, and it is even more so today. Inspired by this, four of us, all women, resolved one day to do the Camino ourselves, but to try to do it on horseback, and from Lisbon — the Portuguese Way. We want to examine the experience of women travellers and pilgrims centuries ago, and compare it with our experience as modern women travelling today. I soon realised that my horse-riding skills were rusty in the extreme, so I started to do training rides wherever the opportunity arose. CK: I live on an island in the Outer Hebrides of Scotland, and I treasure the meaning that adds to my life—a place where the traditional Gaelic culture is strong and informs every aspect of modern life, where people over millennia have come to terms with the realities of living close to nature in what seems like a wild place. Wherever I go in the world, this strong bond to my family home provides me with an anchor that sets me free. This balance between freedom to wander and a deep sense of belonging is something I treasure greatly. CK: I picked up this book as something to read on my way home from Antarctica, and chose it because it touched on my current interest in women’s freedom versus confinement, and also because the paperback was small and portable, ideal for a traveller like myself. But I loved the fact that this thoughtful book, set in thirteenth-century England, portrayed ideas that are so remote from our modern preoccupations. The central character, Sarah, at seventeen, enters a closed cell attached to a church, where she intends to spend the rest of her life as a holy woman in fasting and prayer. Here is a girl whose spiritual journey, and indeed almost all of the action of the book, takes place, not over miles of dusty roads, but within the silence of a cold, dark room only a few paces long. Robyn Cadwallader’s writing makes this appalling prospect sparkle with colour and drama, and takes us, body and soul, deep into the medieval world. It is another great example of how historical fiction can communicate difficult ideas vividly and effectively to a wide readership. A thousand apologies, Cate Kennedy and George Saunders, for linking the ‘T’ name with your own, forgiven*, I hope, by the ever-handy ellipsis. In my last interview post with one of Australia’s national treasures, writer Cate Kennedy, (scroll down, scroll down; wait! read this first) Cate mentioned George Saunders’ short story collection Tenth of December as a favourite read. It’s a knock-your-socks-off work. Trust me. Speaking of Trust Me soothsayers, the infamous Donald Trump recently caught the attention of the aforementioned George Saunders, who also writes as an essayist for the New Yorker. For those flummoxed, intrigued, entertained or rendered aghast by the curious unfolding of the American political stage, Saunders attended a Donald Trump political rally to find out, Who are all these Trump Supporters? Who hasn’t borrowed a book from a friend, or loaned one out? I raise my hand to having done both. Some time back I even heard the host on a national television book show offer to loan a novel to a fellow panellist. That makes it okay. Right? When a reader tells me that they loved my novel WILDLIGHT, I want to cartwheel through the house then pirouette along the street. But the joie de vivre subsides when the reader adds, enthusiastically, that they’ve loaned their copy to a friend. 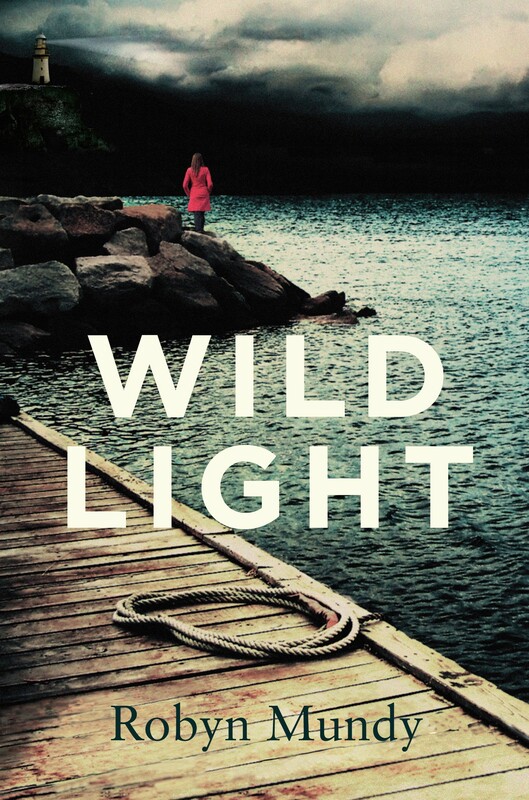 Recently a local book club invited me to join their forthcoming meeting, WILDLIGHT being their selected novel. Yeah! I am delighted to attend book club gatherings when I can, and ever grateful to have my book read and discussed. In fact most authors I know are good sorts, eager to contribute to book clubs, appreciating that each member has purchased the novel, or borrowed it from their public library. With this particular invitation the host innocently explained that she hadn’t yet read WILDLIGHT as it wasn’t her turn. Her turn? The club, it seems, shares a copy, passing it down the line, reader by reader. IN THE SPIRIT OF TOGETHERNESS, IN THE INTERESTS OF ECONOMY, WHY NOT SHARE? When an author has a novel accepted by a publisher, the publisher determines how many copies will be printed based on how many copies they believe will sell. The publisher pays the author a royalty in advance, being an amount per book for predicted sales. For authors in Australia, excluding best selling authors, the print run can be as low as 1,000 copies for a small publisher, or up to 5,000 copies for larger publishers. Royalties will be around 10% of the recommended retail price, amounting, all up, to a few thousand dollars. Modest reward for what amounts, in the case of WILDLIGHT, to two years of writing, months of research, and time and effort in promoting the published novel. I am not alone here. A 2015 survey of Australian authors conducted by Macquarie University revealed that the average Aussie author earns less than $13,000 per year from their writing. Call us knuckle-heads for choosing such a profession. The majority of us supplement our choice to write with other income-earning work. The publisher is not the bad guy here. They carry significant financial risk by investing resources into assessing, editing, producing and marketing the book. If a book sells in excess of the predicted volume, everyone wins. The publisher finally makes a profit (they barely break even on many books), and the author is paid their due royalty for each book sold. Even more importantly for the survival of the author, book sales help protect our future. When the time comes to offer the publisher our next novel, in a commercial climate that for any writer remains forbiddingly unassured, the publisher will reflect on how the previous work performed in determining whether or not to support the new one. Every time a book is shared, no matter how well intentioned, it means another chink in an author’s armour. BUT NOVELS ARE EXPENSIVE TO BUY! Look at it this way: in Australia a new novel retails for $24 – $32. An outlay, for sure, but one that provides hours of reading pleasure, and can be read again, like a favourite bedtime story. A ticket to a new release movie—2 hours of single viewing entertainment—costs around $20, more for ‘gold class’. If I want to purchase Season 2 of Outlander (which I desperately want to see), I’ll need to cough up $38 in return for 5 chapters of time travel. If I head out to a restaurant, or buy a special bottle of wine… you get the picture. Soak up your public library. Libraries are wondrous, welcoming, switched-on places with bright-eyed staff, themselves keen readers. With each copy of an eligible book held at an Australian public library, the author and the publisher each receive a royalty payment from the Australian government. An author will earn around $2 for each book held at a library, while the publisher earns around 0.50 cents for each book (2013 figures). Public Lending Rights, as they are called, compensate authors and publishers for lost income in a public library situation where a single book is utilised by multiple readers. If your library doesn’t have the book you want to read, request they order it. You’re helping reader, writer and publisher when you make use of your library! MORE PROSELYTISING? I GET IT. Okay. Okay. Then let me finish with this. I fully understand the temptation to loan out a book to a fellow reader. I have loaned books. I’ve borrowed books. I’ve also purchased many, many books and continue to do so. Speaking for the authors I know, we work long and hard to carve out a small space on the planet. We owe our existence to our wonderful readers, and of course our publishers, bookstores and libraries. When you next read a book that you love, spread the word around (but preferably not the book). Consider taking 30 seconds to rate and even review the book on GOODREADS, the world’s largest, free, website for readers and book recommendations. Most importantly, give yourself a pat on the back for supporting Australian literature. In this section I invite an inspirational guest reader to share a little about their life and their recent favourite book. Picture bobbing across the South Atlantic Ocean on a small ice-strengthened vessel, the subAntarctic island of South Georgia still vivid in your mind, the Falkland Islands in your wake, westward bound for Tierra del Fuego. This is where you will find my colleague and guest reader ELENA WIMBERGER. Elena has spent several Antarctic and Arctic seasons working as Hotel Manager aboard MV Polar Pioneer, a mighty little ship that carries adventurers to wild and wondrous places. EW: Growing up spending summers in the North Cascade mountain range of Washington State, USA, I learned the value of a good walk in the woods. This led me to forego a sane and sensible career choice following graduation, and instead ask to be dropped off at the Mexican border, with pack in tow, in order to take a very long walk home… I spent the next five months on a trail meandering north to the Canadian border. EW: While my love for travel and experiencing new places has been a major directive throughout my life, I treasure the surrounding landscape where I’ve grown up and call home: the Pacific Northwest in the USA. I live at the base of the Puget Sound, surrounded on one side by the Cascade Mountain Range, and the other, a lovely waterway full of islands which leads out to the Pacific ocean. The temperate climate creates a luscious green panorama filled with evergreen pines and sword fern undergrowth. The beauty and easy access to outdoor exploration makes this area a very special place to be and I feel very lucky to have this as my home base. The Brothers K  by David James Duncan is a title that plays on Russian author Fyodor Dostoevsky’s The Brothers Karamazov, as well as referring to a strikeout in baseball, denoted by the letter K.
EW: This is a masterpiece of a story, more like a mural than a single work of art. Starting in the mill town of Camas, Washington in 1956, The Brothers K tells the interwoven story of the Chance family  a baseball-playing father, an overly religious mother, four sons and twin daughters. The story is narrated by the youngest son, Kincaid (Kade), as he observes the trials and tribulations of his three older brothers and two younger sisters growing up in America in the ’60s and ’70s. Humorous yet profound, Duncan weaves a beautiful tale about family, coming of age and the circumstances of life, using baseball as the medium that brings it all together. Each character is profoundly mortal in a different way and watching each member of the Chance family navigate their way through the many curve balls life throws with a distinctive, albeit at times belated, sense of grace, leaves you wanting more from the start. With thanks to my inspirational guest reader Elena Wimberger as another adventurous Antarctic season draws to a close.